Loyalty, commitment, the fight against injustice - these are the things that have always driven Elvis Cole and Joe Pike. If they make a promise, they keep it. Even if it could get them killed. When Elvis Cole is hired to locate a woman who may have disappeared with a stranger she met online, it seems like an ordinary case - until Elvis learns the missing woman worked for a defense contractor and was being blackmailed to supply explosives components for a person or persons unknown. Soon, Scott and Maggie find themselves targeted by that man, and, as their case intertwines with Elvis and Joe's, joining forces to follow the trail of the missing woman as well. From inner-city drug traffickers to a shadowy group of Afghan war veterans with ties to a terrorist cell, the people they encounter on that trail add up to ever-increasing odds, and soon the four of them are fighting to find the woman not only before she is killed...but before the same fate happens to one of them. ©2015 Robert Crais (P)2015 Brilliance Audio, all rights reserved. Sequel to The Suspect, good story. funny in parts, good characters and of course the Marine Dog Maggie. I've been waiting for the sequel , it was worth the wait. I hope there are more to come. Both books won't disappoint . "They Call K-9 When They Need Superpowers, Woof!" 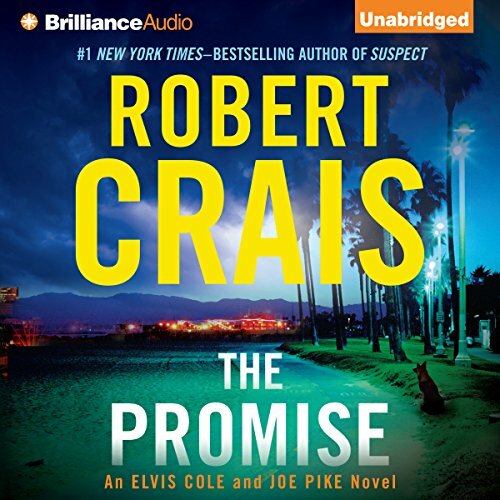 Where does The Promise rank among all the audiobooks you’ve listened to so far? The amazon reviews were right on, THIS is a good listen. Fast pace with a lot going on from 3 different view points. If you have trouble following different points of view, then take some relaxing time to enjoy this book. Elvis is back, and is joined my by heroine Maggie. Her partner Scott is caring i.e. "next time I will have to bring OUR sunglasses"
yes as author took all his good elements from previous books and was able to incorporate these elements in a different path and make it work for his fans. Which character – as performed by Luke Daniels and MacLeod Andrews – was your favorite? I am pleased with these readers paired together, Great Job and smart of producers! Luke has evolved greatly into Elvis and MacLeod did a fab job with Maggie's starring role book that this was a natural. McLeod's AKA reads as Todd Haberkorn shows off his full great reading range. I am a long time fan of author and have all the Elvis and Pike solo stories (a must own, The Watcher read by my fave James Daniels). All of the author's books read by James Daniels are great. Audible, you need to get them as they are the best. All Robert Crais charaacters are in this novel! 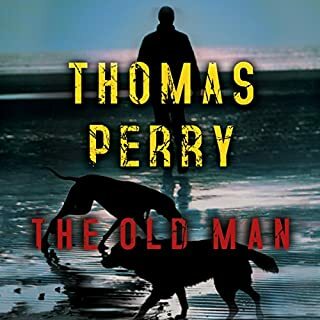 It's an Elvis Cole and Joe Pike novel, but Jon Stone, LAPD detective Scott James, and K-9 Maggie are also key characters. Even the FBI plays a role. Cole and Pike are private detectives and the book is set in Los Angeles as usual. Maggie is the hero. The book involves terrorism, specifically terrorists trying to get 200 killograms of C4 explosive. 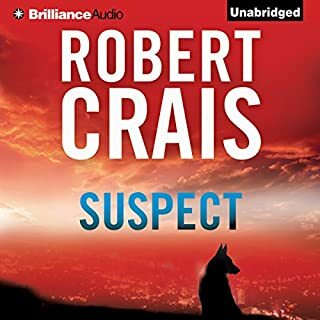 Robert Crais is not, in my opinion, one of the best crime writers, but he does have interesting characters and his novels are worthwhile. His strength is in character development which adds to the interest. The Promise is among his best books. More Scott and Maggie, please! First, I love both these narrators, but there was no reason to use two. Elvis Cole's voice was all wrong. But that wasn't the worst. The worst was that both narrators read all the voices as the characters met. Thus you have one version of Cole's voice when it is his chapter/POV, and then you have the other version of Cole's voice when it is Scott's chapter/POV. That's just insane. I thought I was going along just fine until about 2 hours from the end, when Cole figures it all out. From that point on, I had no idea what was going on. I couldn't remember who was who, and what the point was. I mostly get it now that its' over, but it wasn't fun. Cole is supposed to be the great hero, but if it weren't for Pike and Stone, he wouldn't get far. And in this book, Oliver, I mean, John Stone smoothly sweet talks the lady of interest into solving the whole thing. Then he solves her original problem just as smoothly and leaves her a lovely note. Why are we bothering with Cole when this guy is around? Suspect, the book that introduced Maggie and Scott is so much better than any of the Elvis Cole books. The prologue had me in tears! That's what I would like more of. I know Elvis Cole has a huge following, but I think this is not so top-notch as some of the others. The story is still strong, just not as strong on the characters as some of the others. First, the plot has more twists and curves than Shirley Temple's ringlets. Second, these are characters whom the author has developed over several books, so it's heavy on action rather than exegesis. (Be prepared, however, for a remarkable response by one character.) Third, like the best crime/mystery/detective writers, among whose ranks he stands so high, Crais conveys a profound sensitivity to the frailty of human nature and the often tragic nuances of human behavior. probably more in this book than in some of his previous. Fourth, in this book at least Crais manages to escape the tendency of many noir writers to end on a bleak note. I was smiling when this one ended.Finally, I loved reading more about Scott James and Maggie. Their connection, several millennia of mutual need and mutual trust, is way more interesting than reading about the pampered breed du jour with which many crime writers accessorize their characters. Robert Crais at his best ! I'm a long-time fan of Elvis Cole and Joe Pike, and this book made me happy. Elvis and Joe, joined by Scott James and his dog Maggie, (from "Suspect") and Jon Stone, mercenary & associate of Joe Pike. What a great cast and a thrill-ride of a story. Excellent narration, especially by Macleod Andrews. Really enjoyed the book, could not stop listening. Narrators were great. Liked having everyone in the same book. It's been too long between Robert Crais novels. I like these books and I like both sets of characters. It was fun seeing them come together and I hope we will get more of that, but the narration was a total mess! There's nothing wrong with either narrator, but I can't figure out for the life of me why they broke this story up into two narrators. It just made a slightly convoluted story way more difficult to follow. It was jangled and jumpy and basically a really bad idea. Pick a narrator and let them read the story! What did you like best about The Promise? What did you like least? The characters are engaging...who can not enjoy the Elvis-Joe Pike relationship. But not in a million years did I believe the plot device of not informing the authorities of the collection of bomb making equipment...not on Elvis' part and certainly not on the part of the canine officer who, for the sake of some bargain made, gives up his dog...no way. Very dumb. I had a hard time listening to the end because I thought the whole plot became very contrived and not in the least believable. The relationship between the various law enforcement authorities was interesting and the information about the way that the dogs function. 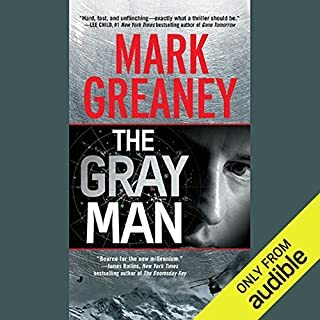 After a long difficult 18 hour listen I looked for a shorter story as my next audible adventure. 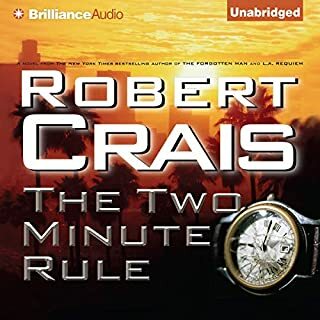 Robert Crais has always delivered an enjoyable page turner so my decision was based on a five hour abridged version of his latest book, The Promise or the full length nine hour journey. I opted for the full nine hours because none of the Elvis Cole, Joe Pike and Scott James books have ever dragged. And how many times do you get characters that can be found in great separate series all under one roof. This book was entertaining from the first scene. I enjoyed every minute of the adventure which included typical Elvis Cole humor mixed in with mystery and suspense. If you are a dog lover and an Andy Carpenter fan, there is a great story here that includes a police dog retired from the military and his handler Scott James. The five star narration duo of Luke Daniels and Macleod Andrews worked well with the story shifting perspectives between Elvis Cole and Scott James. I never researched the abridged version of this book, but I have one question. How did they ever decide what needed to be removed? I wouldn't take out a minute and looked forward to each workout, long drive and house cleaning that could provide an excuse for plugging in the earphones. If you have just endured a long tedious book like me, make this your next listen. Another great story that really put you there with Cole and Pike in the thick of it. and the usual genius twist towards the end. A well worked punchy plot with twists and turns and the usual Elvis Cole panache - thoroughly enjoyed it !! 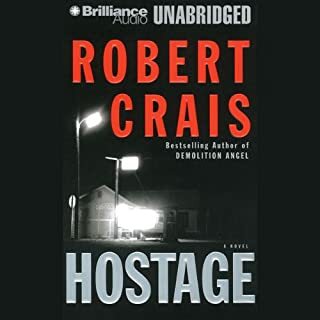 I love Robert Crais and I thought the two voices did an excellent job of the narration. I like the inter-textuality of bringing in characters from his other books, especially Maggie. Not as good as Taken but still recommended. A more laconic reader required for Elvis Cole. What other book might you compare The Promise to, and why? 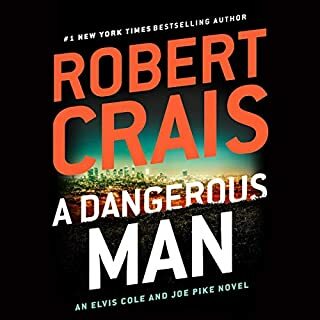 This is the usual super high standard of Robert Crais and sits comfortably in the world of Elvis Cole & Joe Pike, if you like the previous novels you'll love this. A 5 star review except for narration which comes in at 4 stars only because no one can match the usual Robert Crais narrator WIlliam Roberts. Although the 2 narrators do a good job they don't quite inhabit and add to the characters as William Roberts does. If you could sum up The Promise in three words, what would they be? It is really very hard to choose but I suppose it is Joe Pike. He is complex but interesting character. Have you listened to any of Luke Daniels and MacLeod Andrews ’s other performances? How does this one compare? No this was my first but will not be my last. The conversation between John Stones and Amy before the law enforcement types move in. I loved the book, the plots and the characters. Overall an entertaining read with some interesting characters. Felt the way it was written with it being told in the first person by different people a bit disfunctional at times despite a good storyline. Nice to have so many great characters in one book. More please. And soon please.